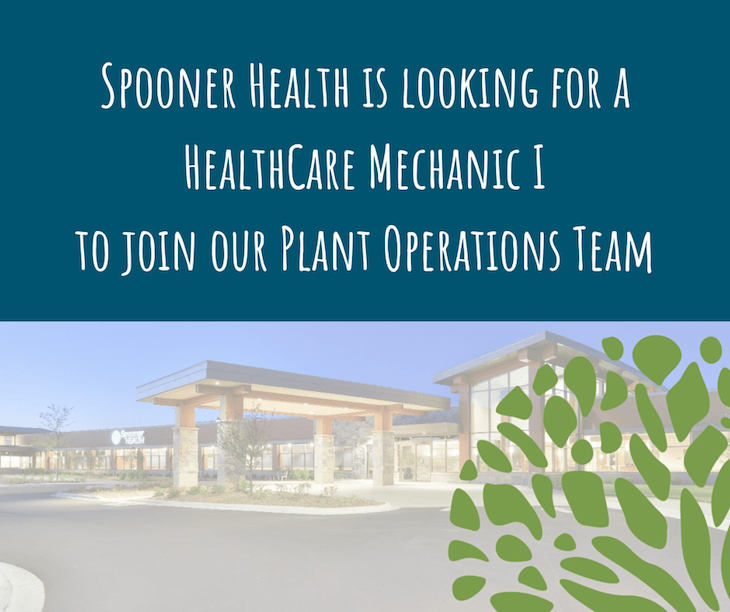 Join Spooner Health’s Plant Operations Team! Spooner Health is a 25-bed critical access hospital with a wide range of services from emergency and inpatient care to outpatient therapy, surgery and diagnostic imaging. Spooner Health is dedicated to providing high quality healthcare with excellent service.